On Sunday, November 23, exground filmfest 27 closed a successful festival edition with the award ceremony followed by a party at Caligari FilmBühne. 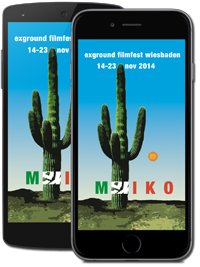 In the past ten days the festival presented highlights of international independent film Wiesbaden. Numerous guests from all over the world came to the Hessian state capital to present their works at the festival to the audience in packed cinemas. Following the second screening the winners of all exground filmfest’s competitions were announced.